The past three seasons have not been kind to the Minnesota Wild and its fans. 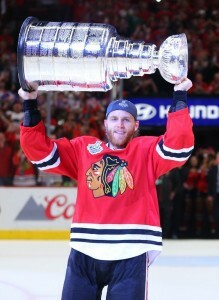 Each year has seen the Chicago Blackhawks mercilessly dismantle the Wild and end Minnesota’s bid for the franchise’s first Stanley Cup championship; meanwhile the Hawks have gone on to win three championships in the last six years. The latest and most embarrassing playoff beating was last postseason’s surgical four-game sweep at the hands of the 2014 Stanley Cup champs. Some marginal regular season success has not been enough to satisfy the rabid Minnesota fan base, nor should it be. While the Central Division has only gotten tougher this offseason, the Wild’s core is very capable and much is still expected of the team. Arguably the NHL’s toughest division, the Central got even better this summer with several teams upgrading their respective rosters. 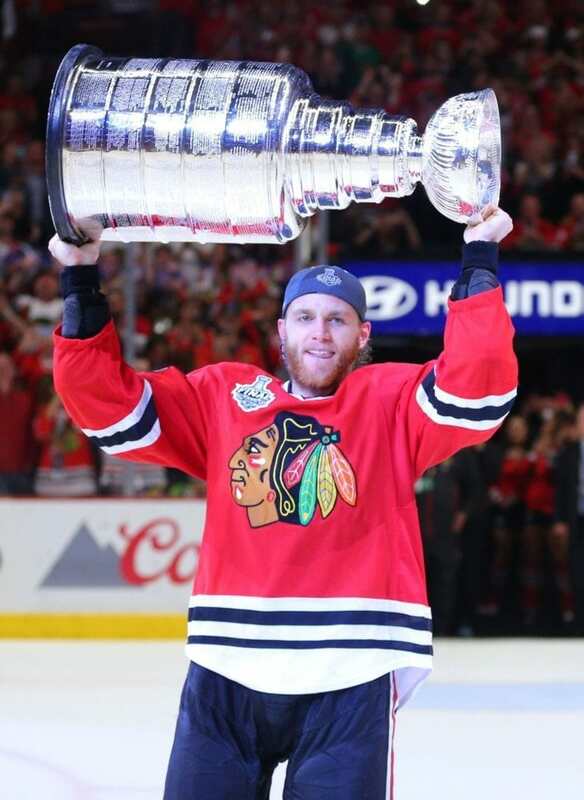 The reigning Cup champion Blackhawks lost Patrick Sharp and Brandon Saad to trades but retained superstars Patrick Kane and Jonathan Toews, in addition to adding mobile defenseman Trevor Daley from the Sharp trade. The Hawks are among the league’s most experienced teams and as long as Joel Quenneville remains at the helm, they will continually be a Cup contender. Patrick Kane has been a thorn in the side of the Minnesota Wild for years. Dallas added Sharp and Johnny Oduya and continues to be on the rise with young stars Jamie Benn and Tyler Seguin. Goaltending is still a chief concern for the Stars, but the addition of Antti Niemi could be a step in the right direction for a team that scores goals in bunches. The Winnipeg Jets showed last year that they are not far from being serious contenders either as they made the playoffs for the first time since the NHL returned to Manitoba. With one of the league’s finest crops of young prospects, the Jets figure to continue on an upward trend for years to come. The rest of the Central is no joke, either. Colorado won the division just two short years ago and while the Avs experienced a bit of a down year last season, they remain a dangerous young team guided by Hall of Famer Patrick Roy. The Blues are perennially one of the league’s hardest teams to play against and while postseason success has been in short supply in St. Louis, they are going nowhere in the central hierarchy and figure to play a large role in the top of the standings yet again this season. Meanwhile, the Predators have one of the world’s best goalies in Pekka Rinne and coach in Peter Laviolette, who knows how to win games. Combine that with probably the NHL’s best defensive combo in Shea Weber and Roman Josi, and Nashville should also be a playoff contender all year. Despite residing in this stacked division within the murderer’s row that is the NHL’s Western Conference, the expectations of the Minnesota Wild are high. A couple of seasons ago, it would have been perfectly acceptable for the Wild to simply qualify for the playoffs, but now the team has gotten to the point where more must be expected. Minnesota must take the next step and truly contend for a championship after three consecutive seasons of early playoff exits; and the Wild have the assets to do so. Last year, the Wild struggled to find consistent goaltending before the arrival of Devan Dubnyk via trade. With “Dubs” signed long term, the hope is that the goalie worries are largely in the past. Young 22-year-old forwards Jason Zucker and Nino Niederreiter bring scoring punch to the Wild’s forward group, along with do-it-all leader Zach Parise. Before a collarbone injury, Zucker was on pace to score more than 30 goals and he finished with 21 in just 51 games played. Niederreiter scored 24 goals last season, despite fading after a hot start to the season. While Zucker and Niederreiter shone bright for Minnesota, other young players arguably under-performed. Mikael Granlund’s eight goals in 68 games are simply not enough, and his faceoff percentage needs to improve as well if he is going to be a legitimate No. 1 center. Meanwhile, Charlie Coyle and Erik Haula both turned in disappointing years after solid playoff performances the year previous, which indicated they were prepared to take on larger roles in the forward group. For the Wild, taking another step must involve these young guns taking their own steps in development. Jason Zucker could be one of the better young snipers in the league next year if he can remain healthy. While there are other areas that need improvement in Minnesota (power play), one aspect of the team is seemingly quite promising. Following the acquisition of free-agent and hometown-kid Mike Reilly, the Wild defensive group is arguably the best in the NHL. All-Star Ryan Suter anchors a group that includes young studs Jonas Brodin, Marco Scandella, Jared Spurgeon, Matt Dumba and now, Reilly. Veteran Nate Prosser and the promising Christian Folin should threaten for a spot in the top six as well. They say that a team can never have enough defensive depth and the Wild certainly has that. While the Central Division is nothing short of formidable, the Wild and its fans should not only expect the team to compete, but to thrive and take steps forward after three failed seasons. Minnesota has the tools to be serious contenders for a Stanley Cup and expectations should be for them to do just that.